Rakuten Securities and Kenanga Investment Bank introduce new low-cost first full-fledged online equity broker Rakuten Trade Malaysia. Kenanga Investment Bank Bhd. and Rakuten Securities Inc. JV was signed in April 2017 and is their first equities business outside Japan. Rakuten Securities is a subsidiary of Rakuten Inc. and is one the largest retail brokerages in Japan. Rakuten Securities was founded in 1999 and is a successful, albeit purely online, broker. 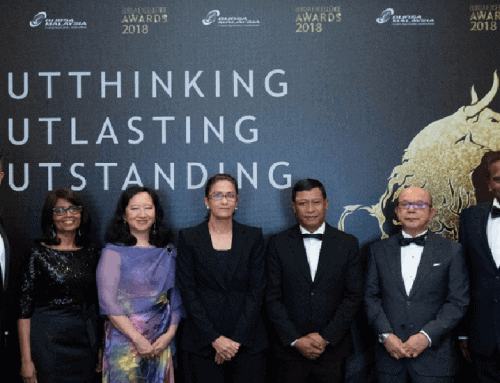 Kenanga Investment Bank is a financial group in Malaysia founded in 1973 with extensive experience in equity broking, investment banking, listed derivatives, treasury, corporate advisory, Islamic banking, wealth management, and investment management. Rakuten Trade Sdn. Bhd. aims to capture 20%-30% retail investors’ market share and be profitable within the next three years. Fast online account opening process with approval within 2 hours (after 4pm, will be next day). 1. NRIC (front and back) or passport. 2. Bank account statement (local bank and non-joint account). 3. Proof of corresponding address (e.g. utility bill or telco bill) if different from permanent address. 4. Credit/Debit Card for CDS fee payment. During the initial period, only an upfront cash account is available (margin accounts to be introduced later). Trading platforms: Web trading (MarketSpeed) and app/smartphone trading for iPhone and Android (iSpeed.my). Real time price, news, volume, and match trade alerts. Mark-to-market portfolio and real-time order book. Personalized multiple screens layout and watch list. Day Order and Good-Till-Date Order (GTD). Customizable charts including different time frames & technical indicators. Funding via online cash transfer (up to RM30,000) or offline/above the counter. No fees/charges for receiving dividends and corporate actions. Interest of 2.5% p.a. on daily rest on your available cash balance credited monthly. Reward program to collect 1 RT point for every RM2 brokerage fees from loyalty cards/programs with AirAsia BIG, B Infinite (B Card), and BonusLink. Points expire in 3 years. Account opening: 1,000 RT points. Promotional transfer shares into Rakuten Trade will earn 100 RT points per counter. Rakuten’s mobile trading platform is known as iSpeed.my. We like Rakuten’s mobile app’s chart display options but has room for improvement in terms of layout/info display and for everything to be able to do be done on the app (without additional website login). Shares transfer can be done online. My Portfolio > Transfer Shares. You will be charged a CDS transfer fee of RM 10.60 (inclusive of 6% GST) per share regardless of quantity. Transfer can be done to own account, spouse or parents. Q: My Debit/Credit Card transaction on Rakuten keeps failing to go through for account opening fees payment. A: If it’s not going through multiple times, check with your card issuer bank or Rakuten. You may need to inform your bank to authorise your card for online transactions. Q: How can I get my monthly statement? Q: Help! I can’t find the Rakuten account registration link. A: It’s slightly hidden with the many things on the Rakuten website. Q: Is there a minimum account cash balance to keep? A: No minimum account cash balance requirements. Q: I forgot my password or pin. A: Go to the Rakuten site to reset your password or pin. Q: Where can I locate my CDS account number? A: Your CDS account account number is available on the Rakuten website after you login. Or you can request from CustomerService@RakutenTrade.my. How is your experience with Rakuten Trade? 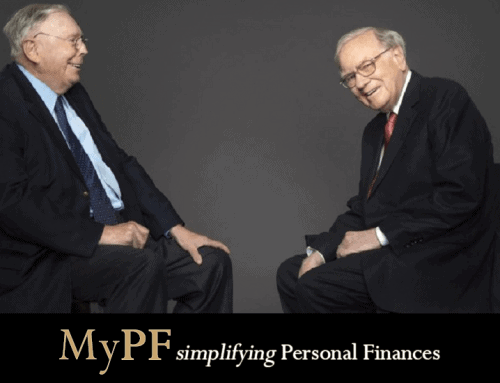 Helping you to simplify and grow your Personal Finances. 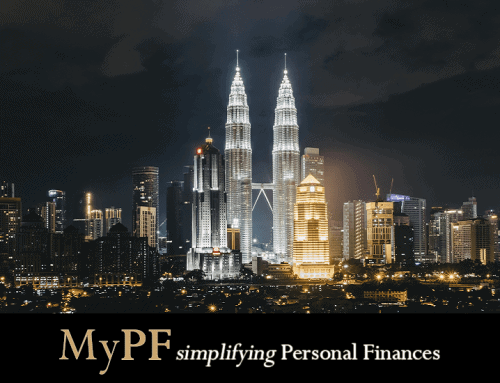 Follow MyPF.my to get the latest Personal Finances updates and insights! 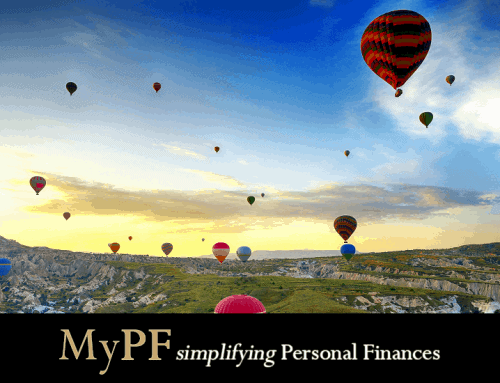 Register for a free MyPF membership today & enjoy member benefits! Thanks for informing abt such a convenient site! Do you know if they offer access to US ETF funds/index funds? Due to the investment books I’ve been reading, I keep thinking that index funds are much better than individual stocks, but too bad Malaysia has very few index funds. And are you using Rakuten or another broker, and if so, which broker? Hi Clement, You’re most welcome! Rakuten currently offers only Malaysian shares. Index funds/ETFs do have their place depending on your investment plan and if you have no interest/inclination for individual stockpicking. (And yes Bursa is lagging behind with ETFs lacking trading volume & interest). We use and recommend Halifax (licensed from Interactive Brokers). I see. The Halifax minimum requirement of USD$2,000 is above what I can put in at the moment, so I will go with Rakuten first. Thanks for the info! All the best with your Bursa investing Clement. Do note as well that the Halifax USD2k min requirement is in total account balance which includes cash and investment value. RM10k will suffice to start out when you’re ready to invest in US markets. How is foreign trading even profitable for small amounts like USD1k or 2k? the brokerage itself will be a crazy percentage of the actual sum invested. Then you have to take into account the exchange rate, and with-holding taxes.. IME when a country does well that country’s currency appreciates about as much as the index. So in the end, the foreign market goes up and you make money, but then the currency appreciates, so even though you may make money on paper, after accounting for currency appreciation and with-holding taxes, you might actually be making a loss. Hi K, Surprisingly for those new to overseas investing, brokerage costs are significantly lower using international brokers VS buying shares in Bursa. True that you will make some forex losses/fees for transferring funds overseas (which can be mitigated by timing your funds transfer/seeking low cost transfer options). USD1-2k would be a starting point with the intention of increasing your fund holdings to at least USD5-10k. Forex rate movements can go both ways to increase/decrease returns. (For example, fund transfers made overseas to USD before 2016 would have seen gains of up to 40% even if you just parked your funds overseas without actually investing it). It may make sense for investors to have some funds in US/other global markets for diversification and other purposes (i.e. trading/shorting, better market/individual stock performance, access to index funds) provided you have sufficient capital. 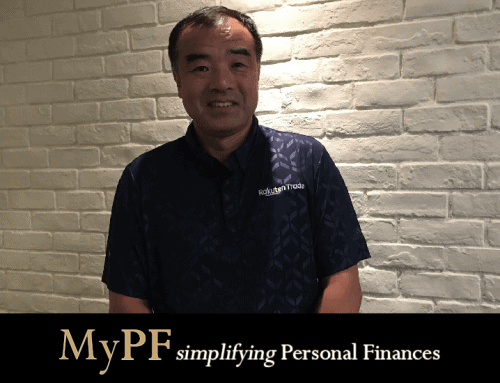 Seeking a personal finances advisor is recommended to work on a portfolio planning as each individual is unique with different financial backgrounds and goals. If I deposit cash via online cash transfer, would I be able to trade immediately? Or do I have to wait till the next trading day before I can trade? Hi Firdy, online deposits (below RM30k) will be processed in real time/instant. How’s it when comparing Rakuten mobile trading platform vs other broking houses? By considering to check through shares and execute trades in normal work days, user-friendliness and features of mobile platform stands significantly important! Hi Kenny, Rakuten’s mobile trading platform is decent. We have added a new “Rakuten Mobile Trading Platform/App Review” section and a few more screenshots. What is the minimum balance that i can have in my account if i trade. Example i deposited rm5k into the rakuten account, then i would like to buy 2400units of rm2.5shares, is it possible? Hi Bill, There’s no minimum balance required. Rakuten is currently cash account only so you can purchase shares up to your remaining cash balance. Very slow on processing dividend paid by the share company. More than 5 days still not yet receive the dividend. Hi Pure Tan, Thanks for sharing your experience. Is there anyway to transfer my shares held with another brokerage account to rakuten account without selling all of them and buying the shares again in the rakuten account as this will cost a lot of fees? Hi JY, Yes you can transfer shares online with Rakuten. My Portfolio then Transfer Shares. You will be charged a CDS transfer fee of RM 10.60 (inclusive of 6% GST) per share regardless of quantity. Meaning for example if I have 10 different stocks each stock transfer will be charged RM10.60? It might sound like a silly question.. is the dividend payout automatically credited into the trading account? Do I get any notification when it does? Hi Kenneth, over here we believe there’s no such thing as a silly question. Yes the dividend payout is automatically credited. A notification stating the stock & amount credited is sent. Pro: no fees charged. Con: slightly delayed. Hi there, I am a newbie and have been trading quite alot with rakuten recently. I understand then whenever I trade, there will be charges for the transaction as mentioned above. However, after trading for a while, I have put in RM11k, I realized that my cash only has around 9.8k; while the shares are only valued at 8k. I wonder is it possible to trace back the money on where did it went as well as knowing what does the * Interest is calculated every end of the day actually means? Hi LYW, always good to see folks interested and getting started in investing. Are you saying though you have now 9.8k cash + 8k shares = 17.8k? The trading fees should be reasonably minimal depending on how much trading/investing you’re doing. You can check your trade history as well as monthly summaries. It’s a very good idea to keep your own trading/investment journal though to track your past performance. Below is some info on daily interest. Interest will be calculated based on the previous day’s outstanding balance. The advantage for daily interest is that you will start receiving interest immediately when your cash position increases. How do I withdraw funds from Rakuten cash up front account after selling off my shares? Can I request for the funds to be credited to any bank account? For example, bank account other than what has been registered during account opening under 3rd party name? Hi Ry, you can transfer funds to your bank account at any time and any amount but must be under your name (and not 3rd party). So the withdrawal can be done online or via the ispeed app without having to send in request by fax or email right? Yes it can be done online. The app link directs you to the online website. Hi! Thanks for this very informative post! Just have a question if it is safe to park my fund in Rakuten since it has quite big 2.5% interest rate compared to the average 2% interest rate of banks? Hi dardar! You’re most welcome. Your funds should be as safe as with any shares brokerage and you have your own Central Depository System (CDS) account.